A Community Project is local in scope, run by members of the community. Almost any social or economic effort can come under this. For example, the construction of a local garden, or any form of organised, regular volunteer work, such as community patrolling. Entrepreneurial principles are applied to maximise effectiveness. Personal incomes earned from such activity, if any, is small. Non Profit Organisations run just like regular businesses, with similar structures and processes, but instead of delivering profits to shareholders, all revenues are reinvested in the organisation. NPOs are often run by professionals, who can draw good salaries, although not comparable to the private sector. Joining or starting a Non Profit can thus be a good way to contribute to society, while maintaining a reasonable lifestyle. This point applies to most other models of social entrepreneurship as well. The essence of social entrepreneurship is that individuals are not expected to ‘sacrifice’, but instead to work as hard as possible to make the organisation more effective in fulfilling its social purpose. A Co-operative may be a profit or a non profit. The essence of the co-operative is that it helps individuals in the same field (for example, apple farmers) to get together, in order to enjoy greater market power. Since the organisation is uplifting and empowering these individuals, it serves a socio-economic purpose. While Amul is a very famous example of a successful India co-operative, there are still many fields in India where individual artisans or small businesses can benefit from the co-op model. Micro Finance is a specific type of co-operative model. The basic unit is a small group of borrowers. This is like running your own bank, so if you have a head for finance, and a social conscience, this could be the right model for you. Such an organisation can start with small amounts of capital, and scale up over time. While there are many such entities in India, the demand still outstrips the supply. It’s important to remember that this model requires extensive travel and frequent visits with customers, especially in the early stages. 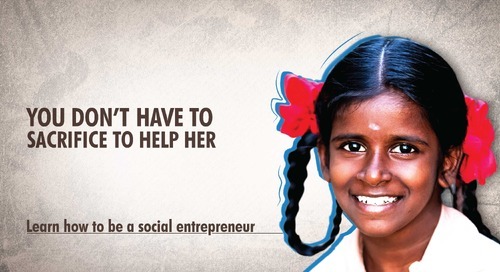 Social Enterprises conduct a variety of activities with a specific purpose in mind. For example, Helpage helps the elderly. It runs cataract camps, fund raising drives, support groups, ambulances and much more. Social enterprises often focus on under-served or under-privileged communities, providing vocational training, or job skills. Those who are interested in empowering a community, or single-mindedly push an agenda, such as sanitation, should look at this model. A Social Purpose Business is a more commercial model. In this model, the organisation is largely driven by profit, but sets aside a significant chunk of profits for the social sector. For example, a business selling designer clothes could help support the education of girl children. Such businesses often widely publicise their social purpose, and this helps to drive consumer preference. In this model, what you are really doing is running a regular business, but you are using it to support others. 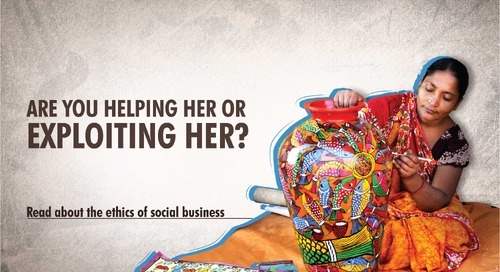 This article is part of the series ‘Social Entrepreneurship: The Basics’. 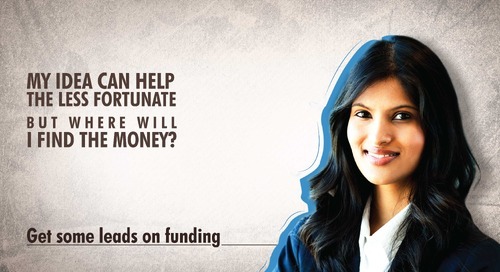 In other articles we look at how to raise funds for social enterprises, how to start a new one, how India’s youth is embracing them, with inspirational and informative case studies.